Stormsriver Adventures is a professional adventure and activity company based in the heart of the Tsitsikamma Forest. Adventure activities take place from the adventure centre on the scenic little village of Stormsriver. Abseiling, quad bike rides, zipline tour, what else can we say? Where the booming breakers of the Indian Ocean relentlessly pound rocky shores, where temperate high forest and fynbos roll down to the sea in an unspoilt verdant carpet, where ancient rivers carve their paths to the ocean down rocky ravines. 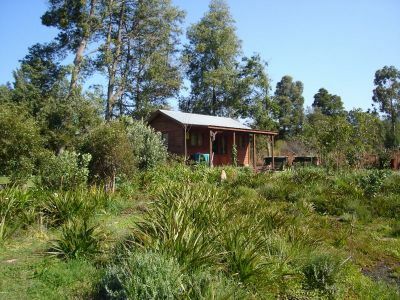 This, "the place of much water", is the Tsitsikamma Section of the Garden Route National Park. The heartland of the park stretches some 5km to sea, protecting a wonderland of inter-tidal life, reef and deep-sea fish. This unique trail has been made possible by the formation of a partnership between the Tsitsikamma National Park and two private sector partners, namely Forest Ferns and Misty Mountain Reserve. Nature's Valley is a small village situated at the mouth of the Groot River at the bottom of the Groot River pass alongside the Groot River estuary and forms part of the Tsitsikamma De Vasselot nature reserves. Monkeyland is the worlds first free roaming multi-specie primate sanctuary. Monkeyland has as one of its aims, to create awareness about the plight of primates and to show that with a greater understanding of our primate cousins, that we can all live in harmony. BIRDS OF EDEN, IS THE GARDEN ROUTE’S VERY OWN WORLD CLASS FREE FLIGHT BIRD SANCTUARY. The unique two hectare dome (the World’s largest) spans over a gorge of indigenous forest. The sanctuary has its own mysterious ruin, which incorporates a walk-behind waterfall. Another feature is its amphitheatre, which has the ability to seat over 200 visitors.